In the late 1930s Waikato leader Te Puea Hērangi held a dream to build seven waka taua for the 1940 centennial commemorations at Waitangi. By 1937 two waka had been commissioned and cameraman RGH Manley engaged to record their building for posterity. 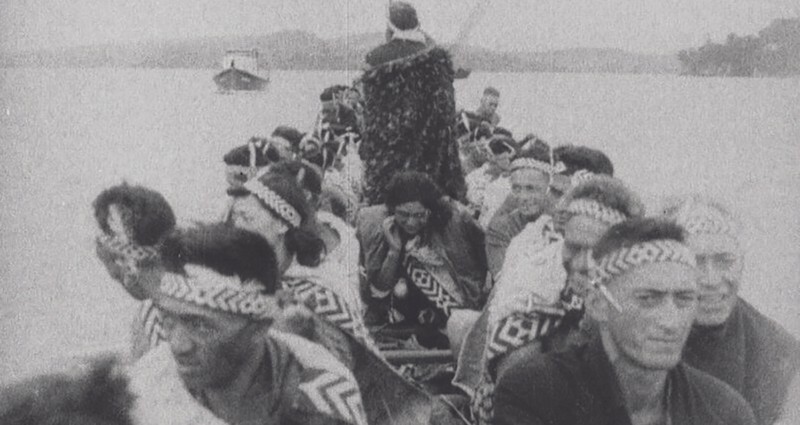 The original footage was not printed and remained untouched for almost 50 years, until 1983 when Ngā Kaitiaki Ō Ngā Taonga Whitiāhua The New Zealand Film Archive received permission from Te Arikinui Dame Te Atairangikāhu to begin work on the nitrate negatives. Repair and preservation took more than 350 hours and several years and in August 1989 work began to construct a new film. Merata Mita was appointed director and, with editor Annie Collins and Archive director Jonathan Dennis, moved to Tūrangawaewae Marae to edit it. Mita was informed by kaumatua who had witnessed the events and could provide clarity to and guidance in shaping the film.